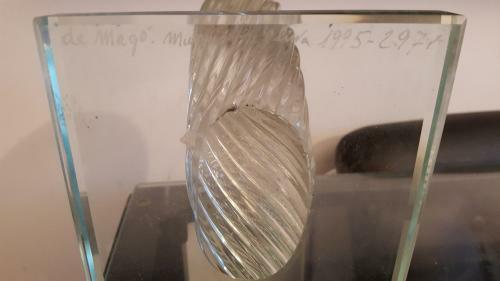 Rare glass sculpture by Yoichi Ohira, signed underneath: "de Majo, Murano, Y.Ohira 1995-2971". Prod. Italy, Murano, 1995.